You’ve purchased our first own-root rose in a band or pot, planted it and it’s doing well. Of course, you want to make sure it continues to do well and we’ve put together a video for you with tips on getting your rose through it’s first season. You will learn a few different things but most of all keep in mind this simple rule. What does this mean? It means you are going to focus more on growing the roots the first season then the top, which is the part above the ground. This is important because unless the rose has a root system big enough to support the growth above ground the rose may die back; and in some cases completely. So get that good root system established first! 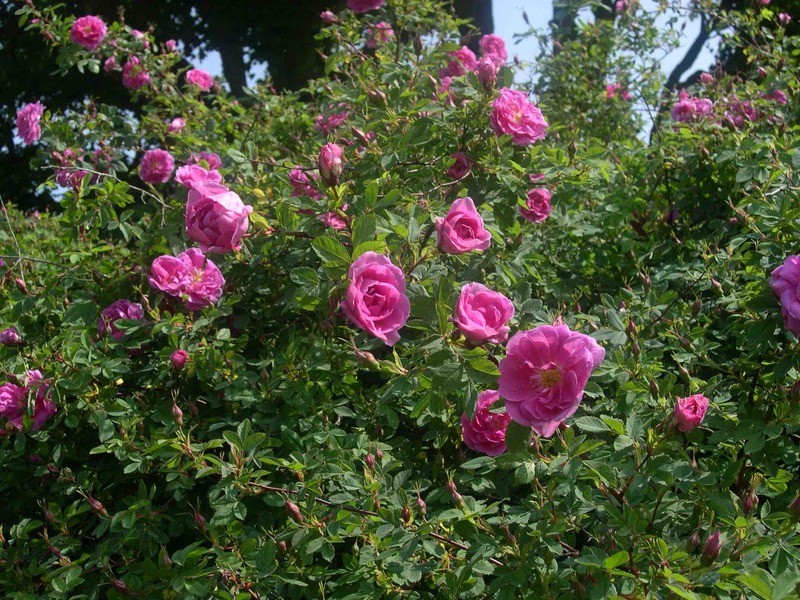 Use natural and organic time release fertilizers so the rose won’t outgrow its root system. Water to get it established then slowly back off to encourage the roots to go deep into the soil to look for water. Keep spraying to a minimum. Let the rose build up its own immunities. Try to limit spraying until after you have a problem. If you live in a cold climate the cold winds are more damaging then cold temperatures. Try to shield the rose from the winds with mulch, piling leaves around it etc.